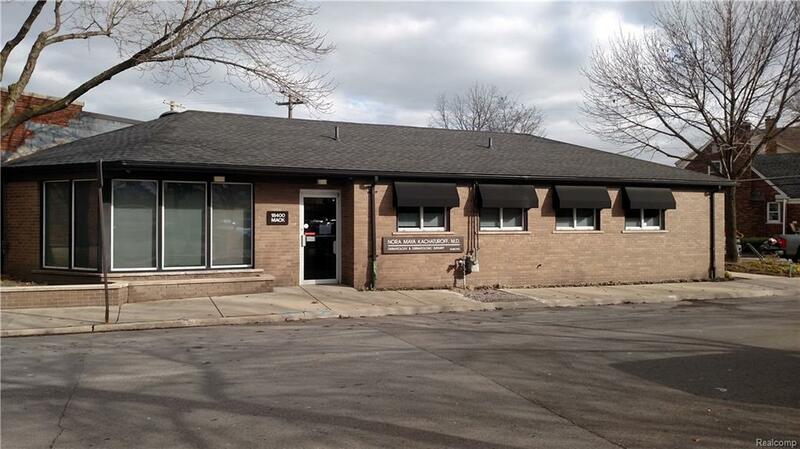 Almost 2000 SQUARE FOOT (1939 SF) is extremely well maintained commercial building in the heart of Grosse Pointe Farms. The numerous recent improvements and refurbishments include updated electrical, newer roof, lighting, flooring, heating, cooling, plumbing, two half baths and much more! Although it most recently housed a medical practice it's a turnkey building for virtually any use you desire! The (4) four exam rooms could easily be offices, the receptionist area, clerical/file rooms and & break room could stay status quo & large private office could be a conference room if desired(see photos). 8 off street parking spaces behind the building plus another 3 leased from the city.